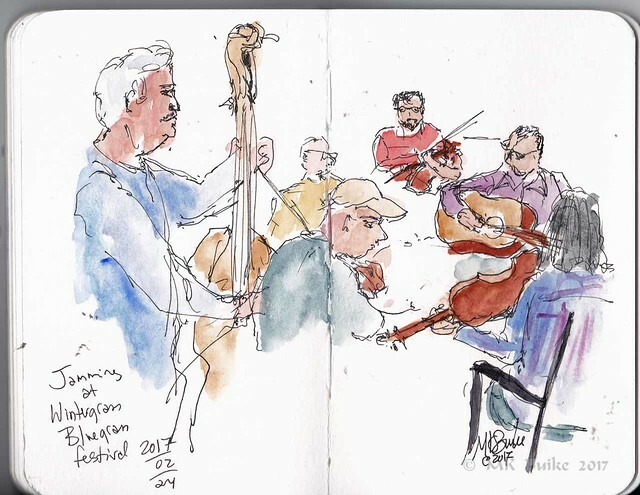 This was the 4th year running that Urban Sketchers Seattle Friday group sketched at Wintergrass, the bluegrass festival in Bellevue. 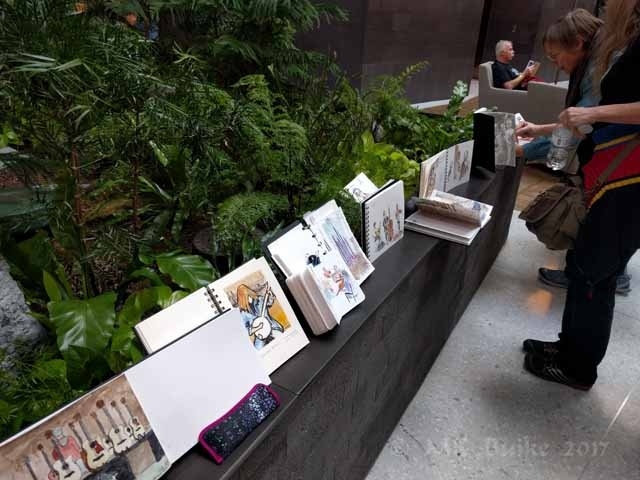 However, this year we were joined by a few sketchers from Tacoma! In fact, most of the sketchers were from Tacoma. For some reason, this year I wasn't that interested in sketching musicians jamming in the hallways. So I took the skyway across the street to sketch "Fiori" the glass sculpture by Dale Chihuly in Lincoln Square. 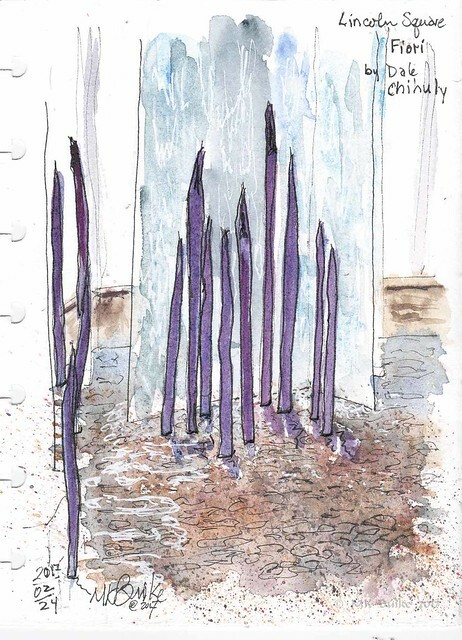 Behind the spikes of purple glass is a glass panel waterfall that stretches 3 floors high. I did find one group jamming away and made a quick sketch in the pocket Stillman and Birn Beta. 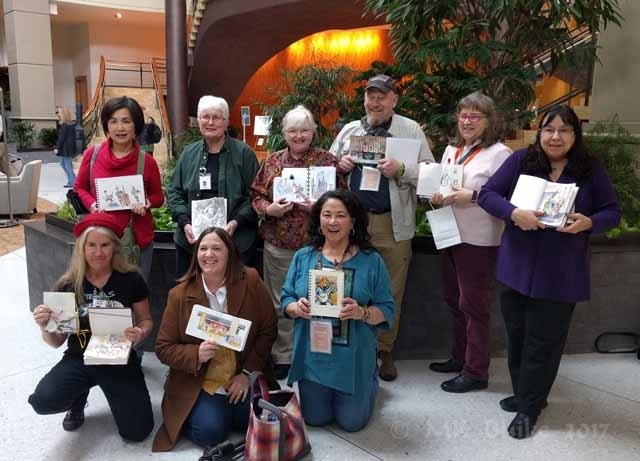 Both Frances and Beverly sketched this group from opposite sides.